We produce creative projects, videos and tools for building your base and increasing engagement (citizens, donors, voters, volunteers, members, followers, customers, employees and others). PEOPLE LIKE TO KNOW WHERE THEY STAND. We develop quizzes and other tools to inspire self-evaluation and provide ideas for action that support your cause, campaign or business. 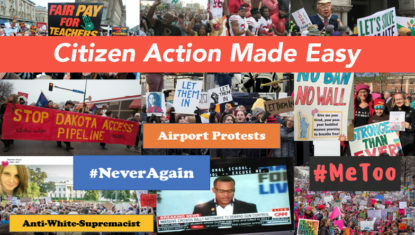 CITIZEN ACTION MADE EASY. 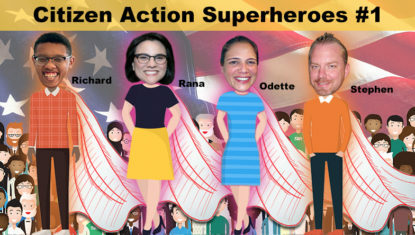 These easy-to-use tools and related article inspire people to turn their strong emotions into action for a better country and world. QUICK STUDY GUIDE. Being political means caring, but the issues and policies are numerous and complicated. 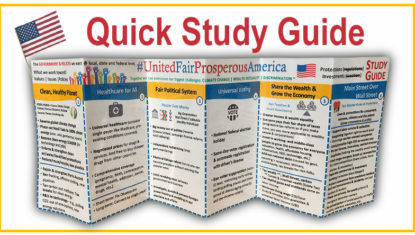 That is why we created this study guide to help people get educated and more engaged. HIGHLIGHTING HEROES. We interviewed and uplifted these grassroots leaders, sharing their work and inspiration with the world. Too often, big names get all the attention when it’s the grassroots who move the mountains. Inspire more people to support your cause, campaign or business. Advance your mission, get your candidate elected and/or boost revenue. 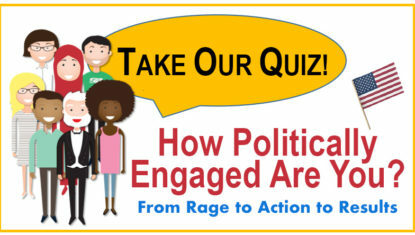 Engage more active citizens for a stronger, healthier democracy and more vibrant economy.